Everyone with a business knows how handy a van can be. It's not just nice to have, it's an essential item to haul, people and cargo. 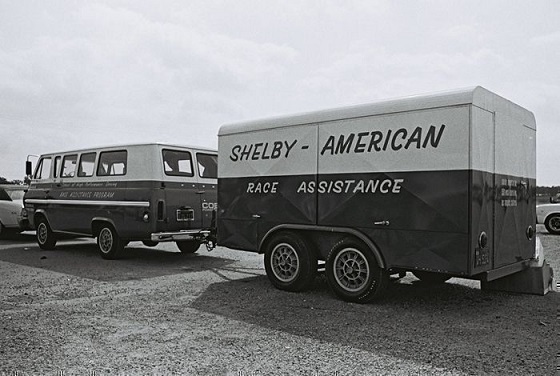 Shelby American had several vans. 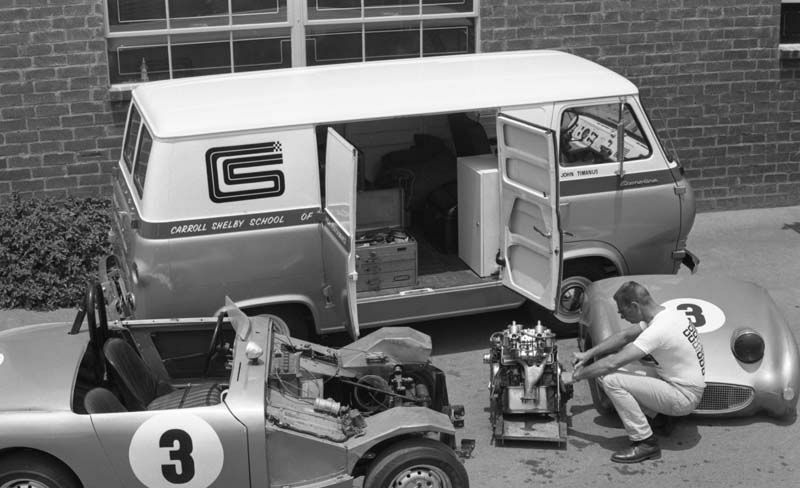 You may not realize the Shelby American Automobile Club, also has information on most of these vans. SAAC Registrar, Vinny Liska, shared some of the top secret van files with me. The vans in this article were all Ford Econolines or Falcons. 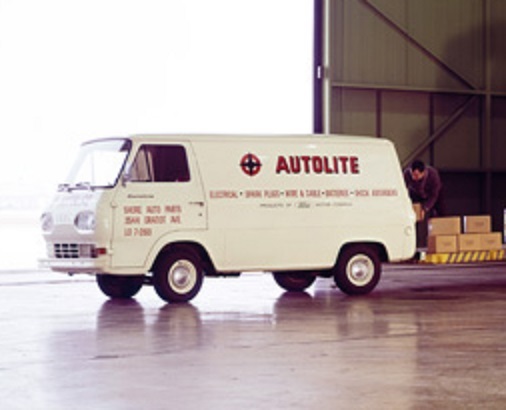 The vans came in a variety of styles and were extremely popular in the 1960s. 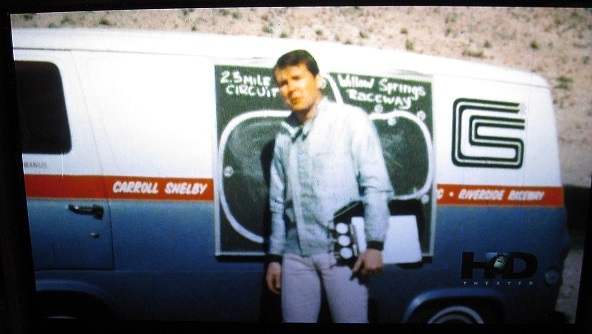 People like, Bill Kolb, the greatest Shelby salesman ever, also raced the pickup version of the van. 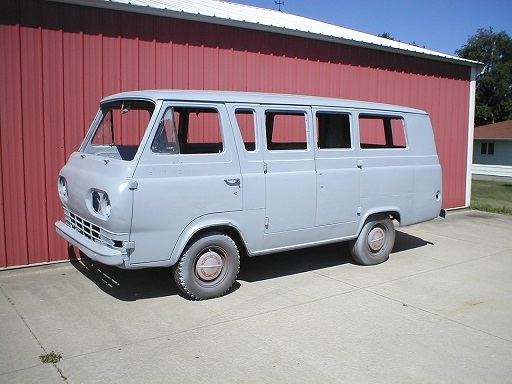 This early van is a Falcon window van. It was parked on the tarmac at LA Airport during the open house. You have to appreciate the dog dish hubcaps. 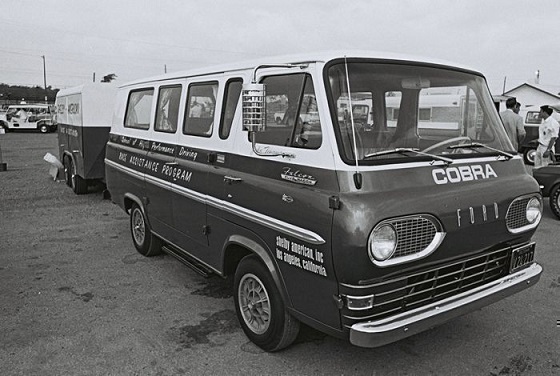 This van was probably the most photographed Shelby van. 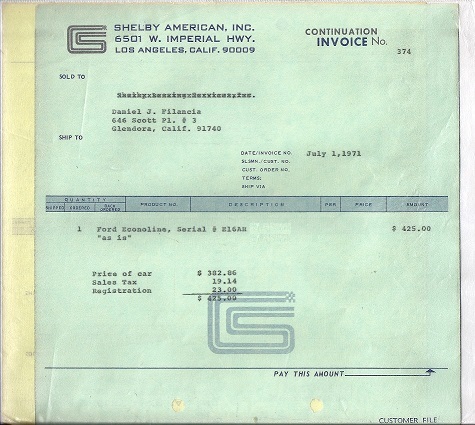 It was used at Carroll Shelby's School of High Performance Driving at Riverside Raceway. The same van as captured by a SAAC forum member from a video. It's nice because it is in color. I will admit I really prefer the slab sided van without windows. However this van was used the "race assistance" van. It had a matching trailer. I found this van at a local swap meet. My "buddies" quickly encouraged me to purchase it. The price was right, it was basically complete and virtually rust free. It will be transformed into the race assistance van. The 10 spoke wheels are already on their way to Coralsnake World Headquarters. It is a high option van with the rare left side cargo doors. 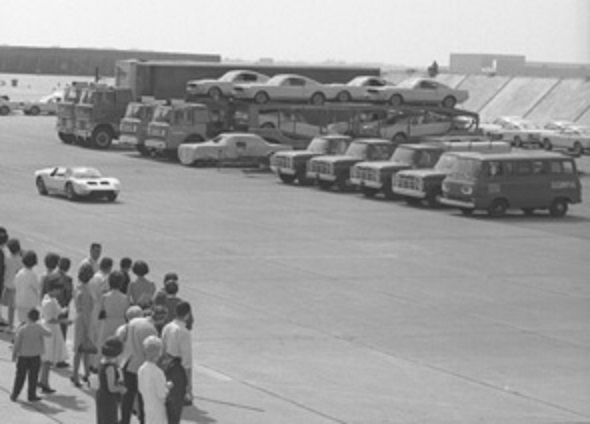 Ford dealers also made use of these utility vehicles. This is my favorite: the white panel van. The red lettering really pops. The nice thing about old Econolines is they are cheap and parts are readily available. 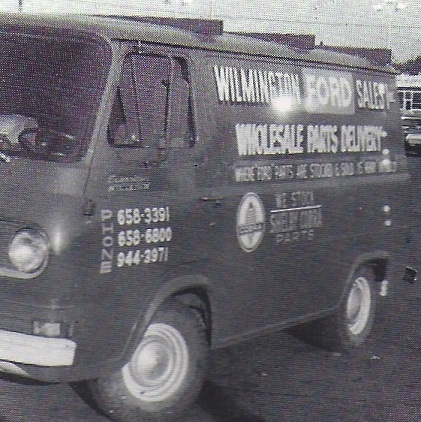 Willmington Ford was located in Delaware. They used this van to deliver parts. They even had the Cobra logo on the side. When operations shut down, many of the assets, including the vans were sold off. In 1971, this one sold for $425. 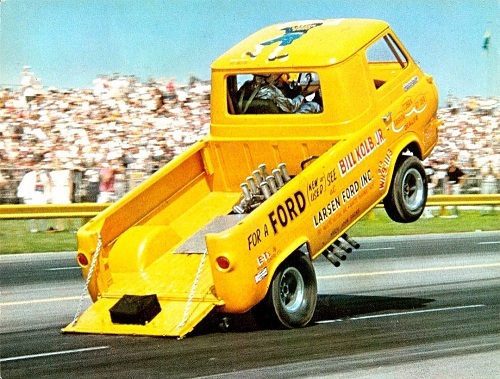 This Ford Econoline is post-Shelby. It was used for trade shows and had several fold out displays. When the prices of old Econolines syrocket, you will remember reading about them here. 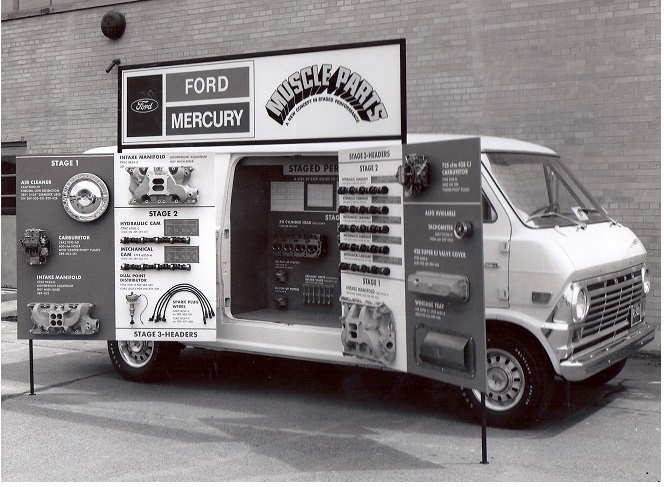 If you run across a full panel van, I just might have a restored "race assistance van" ready to trade. Trailer is not included!